The Hudson residence 31 is 1,884 sq. ft. offering 3 bedrooms plus loft, 2 full baths and 1 half bath with a 2 car garage. This 2 story attached townhome is thoughtfully laid out in design with the first floor entering into the open kitchen and great room. The gourmet kitchen is well appointed with a large island and plenty of cabinet space and GE Profile stainless steel appliances. The second floor opens to a loft and a spacious master bedroom with a large walk in closet. The master bathroom includes two sinks and walk in shower. Vintage at Old Town by Taylor Morrison is a new community that is walkable to dining and shopping in the historical old town of Tustin. Community amenities include a pool, clubhouse and green space. 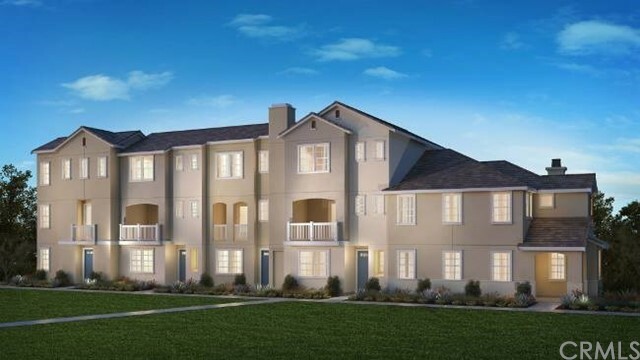 Freeway close and centrally located in Orange Country, this is the place to call home! Photo displayed is a rendering of the model home, actual home is under construction, delivery expected in May 2019.